Brazil’s top electoral court on Tuesday delayed proceedings in a landmark trial about illegal campaign funding that could lead to the removal of President Michel Temer less than a year after he took over from impeached leftist Dilma Rousseff, and 18 months before the 2018 presidential election. The Supreme Electoral Tribunal (TSE) decided to postpone a verdict until at least May to hear additional witnesses, including former finance minister Guido Mantega, which plays into Temer’s defense strategy of dragging out the case so he can stay in office. It is the first time the TSE will decide on the mandate of a sitting president. If the seven-justice tribunal decides that Rousseff and Temer, her running mate, used illegal donations to fund their 2014 campaign, it could annul the election result and remove the conservative president from office. Congress would then have 30 days to elect a successor, plunging Latin America’s largest nation deeper into the political instability that has prolonged its worst recession on record. The court granted a request by Rousseff’s defense team for Mantega to defend himself before the tribunal against allegations he raised illegal funds for her 2014 campaign. It also granted a prosecutor’s request to call Rousseff strategist João Santana as a witness, following allegations that 20 million reais (US$ 6.4 million) of his fees were paid offshore by engineering conglomerate Odebrecht. The three political parties involved – the Workers Party (PT), the PMDB and PSDB – were also given another five days to present their arguments. “With the new proceedings, there is no way of knowing when this trial will be over,” said Temer lawyer Gustavo Guedes. The strategy of Temer’s legal team is to delay proceedings as long as possible and appeal any adverse ruling to the Supreme Court so the case is not decided until after the next presidential election in October 2018, sparing his removal from office. The TSE judge given the task of studying the case, Herman Benjamin, is expected to seek to annul the 2014 election. He criticized the delay in a case that was opened two-and-a-half years ago. However the prospect of removing a second president in less than a year is sure to stir political turbulence, just as Brazil’s economy is showing tentative signs of emerging from its worst recession on record. “It would create more confusion,” ex president Fernando Henrique Cardoso, of the PSDB party, warned in a radio interview on Monday, urging the court not to make a decision that would scare off investment. Among possible outcomes, the court could decide to throw out the case because Rousseff is no longer in office or declare her election victory void but decide that Temer had no responsibility in the illegal funding. Temer is currently serving the third year of Rousseff’s second four-year term. If a president is removed in the last two years of a four-year term, Congress would get to pick the successor rather than via a popular vote. His coalition hold a majority in Congress, which would enable him to stay in office. Temer is widely expected to find a way to escape this. But the mere fact that a court is considering such a thing shows the depths of uncertainty in Latin America’s biggest country as it tries to survive in a huge corruption scandal, a two-year recession and record unemployment. The issue dates back to 2014 when Temer was vice president on the winning ticket of Dilma Rousseff’s reelection to the presidency. They are accused — as are swaths of other politicians – of taking undeclared campaign funds from corrupt donors. The Supreme Electoral Court’s job is to rule on whether the election was fatally compromised. 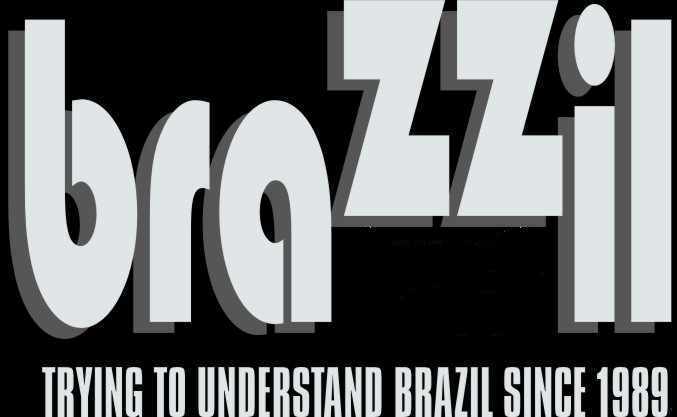 The case highlights the dizzying fall of Brazil from its days as an emerging markets powerhouse and increasingly respected international player up until around 2010. Brazil is still traumatized by last year’s impeachment of Rousseff for illegal government accounting practices, bringing Temer, her conservative coalition partner, to power. Since he took over, Temer has been plagued by rock-bottom approval ratings and a wave of corruption allegations against his allies. Despite his unpopularity, Temer says he will push through far-reaching austerity reforms to fix the broken budget and serve out the rest of Rousseff’s original term until scheduled elections at the end of 2018. First he has to survive this trial. Many think he will manage. “There’s total calm. The president has time on his side, because there are many legal options,” said a government source. Temer’s center-right PMDB party and allied parties control Congress and they have the backing of big business. There is little appetite for yet another abrupt change of president just when economic reforms are underway.